This week over at I ♥ Faces, it's all about the beach. We spent two days at the beach this weekend so I had a few photos to choose from. I chose this one of Emily sitting on the shore. Her face is serene and she appears to be in deep thought about the sand granules beneath her. Hop on over to I ♥ Faces and check out all of the other fabulous entries! OMG! I love this picture! Look at that pose. oh what a little sweetie!! Aaaw! So cute and such great color! This is one of my favorite entries so far - what a gorgeous shot! :-) the water looks heavenly and she is so so cute! 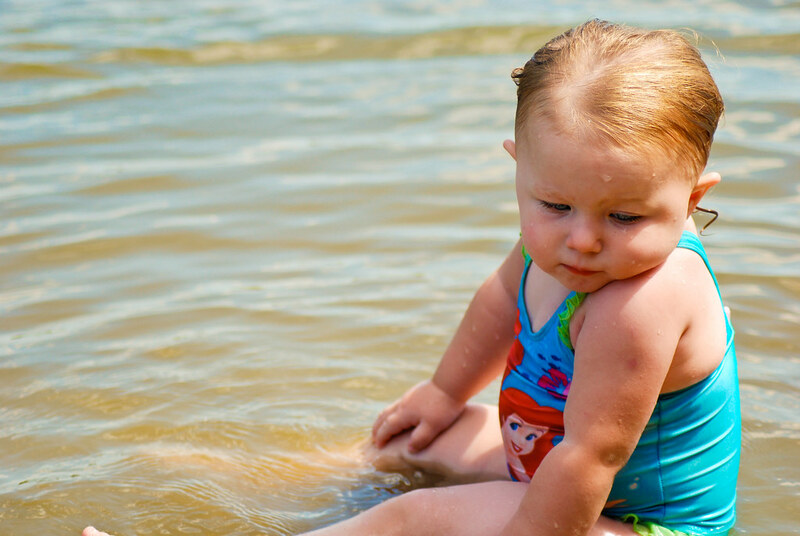 Nothing better than a chubby baby in a swimsuit! Very cute! How adorable is this. She is certainly precious. What an adorable little dumpling! Such a sweet picture.